My second job is in a library. While I'm there I almost always come across a new and interesting food book - or an old favourite that I haven't seen in a while. This week my find was "Ärabesque - Modern Middle Eastern Food" by Greg and Lucy Malouf. I look forward to really exploring it, but so far have only flicked through it and was instantly drawn to Pine Nut Wafers. I tried them this evening. They were straightforward to make, and just as tasty and luscious as I'd hoped. They'd be great with pre-dinner drinks. I love the colour of fennel seeds! In a mixing bowl combine all ingredients well. Remove from oven and allow them to cool completely on the tray. I can''t believe it's been 9 months!! It's been a busy year and there have been other things to focus on - like losing 18kg - but I'm back now and filled with enthusiasm! I imagine my food has changed a little over the time I've been away. I'm certainly much more wary of sugar and fructose specifically, I've delved into the world of calorie counting for the first time ever though I'm backing away now, I am dabbling in intermittent fasting for health benefits. I'm still almost vegetarian (Monday to Friday). I'm sure more will come out about these things in coming posts. Also, just yesterday we bought a new fancy oven and I imagine that will change things! I had a big bag of pecans in the cupboard. Two years ago on a visit to California we had a snack mix that was candied pecans with rosemary and dried cranberries. The memory of how good that match was has stayed with me. Pecans and cranberries aren't used widely in Australia so I've never seen anything similar here. So this afternoon I found some recipes and modified them a little to come up with this fructose-free version. Preheat Oven to 180C (350)F.
In a bowl toss all ingredients together, then spread in a single layer on the prepared tray. Bake the pecans for about 10 minutes until golden brown and fragrant. 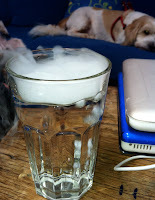 Cool to crisp, before breaking up and putting in an airtight jar. Recipes suggest this will last a few days in the cupboard and a week or so in the fridge - I think they'll be long gone before we get to test that . This sounds a little odd and perhaps a little ordinary - but it is not! The lentil stew is really tasty and delicious. 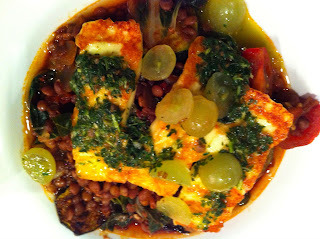 Haloumi on top adds a great salty luxuriousness and the mint salsa is tangy which compliments the Haloumi really well. Pommegranite would set it all off beautifully - but as Kevin Spacey left it out of his ingredient list and I had to do a last minute dash to a suburban supermarket which, of course, had no pommegranites, so we substituted grapes which were good, but not as pretty or special! This takes a while - over an hour - so would be challenging on the average Monday - but I made it on holidays and thought it was well worth the effort. I made double the lentil part and have 6 little containers in the freezer for lunches which makes me happy. The school year starts tomorrow ;( so back to the grindstone for all of us and the more prepared morsels in the freezer the better! Meanwhile, heat 2 Tb olive oil in a large pan over a medium flame. Add the zucchini and cook until both sides are golden, remove from pan and set aside. Add last Tb olive oil to the same pan, add the onion and cook until tender. Add the garlic, cumin, and chilli and stir for another minute. Add the liquids (tomato puree, stock, wine and tinned tomatoes) and bay leaf and bring to boil. Turn down to a simmer and simmer for about 20min. Add lentils, cover and cook for 10 more minutes. Add vegetables (zuchini, cherry tomatoes and chard) and pommegranite molasses, cover and cook for a further 5 minutes. Wish me luck as summer finishes with torrential rain and the numb feeling that the long break is a whole year away again! Week 1 of cooking my way through Meat Free Monday!! I wanted to do it properly, I really did, but you just can't buy baby artichokes in deepest Sydney suburbia! So I combined 2 of their recipes and came up with a great Fennel Risotto. I also tried their packed lunch option of a ciabatta with tomato, avacado and buffalo mozarella. It was fabulous and one to be repeated for sure. * Melt 1/2 the butter with the olive oil in a heavy based pan. Gently fry the onion, garlic and fennel until soft - about 10 minutes - stirring now and then. * Add the rice and stir until it is coated in oil. * Add the wine and stir until it has been absorbed. 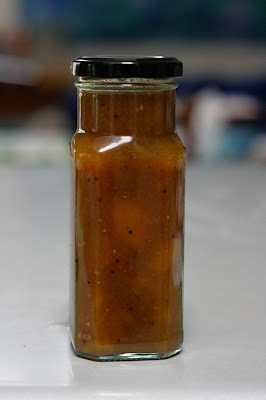 * Start adding the hot stock a ladleful at a time, stir until it is absorbed, then continue with next one. Over about 15 minutes all stock should be absorbed and the rice should be creamy on the outside and slightly al dente in the middle. * Gently stir in the remaining butter and parmesan and serve immediately. * I suggest serving with a green salad with a tangy dressing to offset the richness of the risotto. * Cut Ciabatta in half and toast under the grill. * Drizzle a little olive oil over the roll. * Top with some salt and pepper and some basil leaves, and the top of the roll. I love "Meat Free Monday". When we started down the path of questioning our meat eating it was such a revelation to me that I could give up some meat without necessarily giving up all meat! That sounds a bit strange, but being vegetarian is usually shown as such a passionate and total thing, being part way there doesn't occur to you! So Meat Free Monday seems a great idea to me! It seems it may be a realistic stepping stone to much less meat consumption by many more people. Now I have discovered the Meat Free Monday Cookbook! I borrowed it from the library last week and within 24 hours I had bought it for myself with a book voucher a colleague gave me for Christmas. I have decided to try to cook my way through it in a "Julie and Julia-esque" way. Well perhaps not every recipe but some from every week. The book is laid out with a breakfast, lunch, dinner and dessert as well as a packed lunch alternative and a side dish or two for each week, 13 weeks worth for each season. They seem tasty and varied, yet simple enough to be achievable on a busy week night with a little added cool factor that many are recipes contributed by famous people. I really look forward to trying so many of them. I'll let you know how I am going along the way. We had a week away at my brother's place just after Christmas. It was a real change of scene. 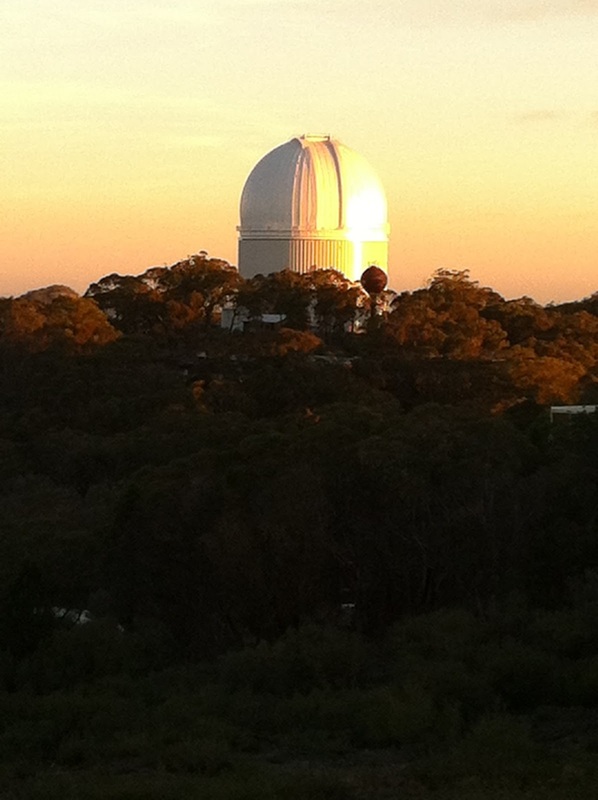 A six hour drive through the country to a fairly remote mountain top where he lives at a major astronomical observatory. We explored the place and some of the local sights, played with my small niece and nephew and did a lot of amazing eating! He is a great cook with a real passion for asian flavours and sauces. He inspired us with how much he makes from scratch and preserves in jars to stockpile. There's always something marinading, curing or pickling and a project on the way (a smoking box at the moment). I'm sure you'll hear more from this adventure! So, energised from this trip we went to the produce markets on the weekend and went a little wild! Lots of fruit & veg, lots of plans!! I tried to choose things we genuinely use a lot of that would save us time or money by stockpiling. We eat a lot of Mango Chutney. With all our curries, pappadums, vegie burgers, as a snack with greek yoghurt and naan bread and importantly, Eva likes it in school sandwiches - but she is fussy so we compared several recipes and jars of ones she likes, tasted spices and came up with our own recipe. And it's great - and importantly Eva thinks so too! Place all ingredients into a large heavy based pan. Bring to boil then turn down to a simmer. Simmer for about 1.5hr until darkened and thickened and tasty. 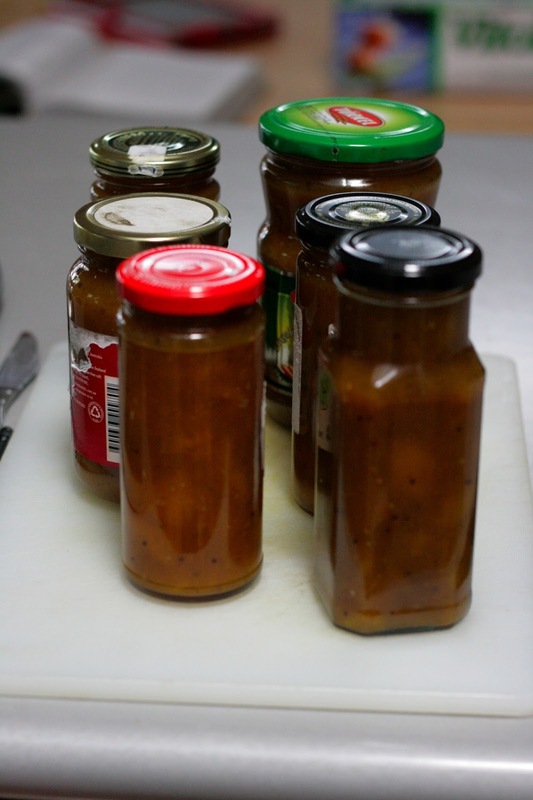 You can cool a tiny amount in a small dish in the freezer if you want to check for thickness as you do for jams. Makes about 2 litres - 6 good sized jars. It's almost my birthday, so today we went on what has become a bit of a birthday tradition in the family - a trip to Everleigh Farmers Market at Carriageworks. It's foodie heaven. We take $50 each and a few bags and taste and buy our way though as much as we can manage. Middle Eastern Ice Creams - we bought a halva one and a turkish delight one. Amazing Goats cheeses - bought a goats curd maninated in garlic. Lunch (which was a little obscene after all that tasting) was a shared combination of a "Billy Kwong" Pancake with asian vegie salad and organic egg (and we actually saw Kylie Kwong - one of my favourite chefs), a fancy Toasted cheese sandwich (Croque Madam) from "Bird Cow Fish" (Alex Herbert was there too!!) and some Indonesian Vegetarian Spring Rolls. YUM. Tonight we used the first of our haul for dinner - a fancy creamy mushroom pasta made with the amazing mushrooms we bought and an awesome Cherry Pie Ian chose. Sadly I didn't photograph the pasta - out of the blogging habits - but you can see the mushrooms and the pie in the photo of all the things we bought. This is the way I made the pasta. Heat the oil and half the butter in a heavy based pan. Cook the onion and garlic gently til soft. Add the remaining butter and the mushrooms and cook, stirring, until they are all soft. Add the red wine, letting it bubble and reduce a little. Stir in the cream, truffle oil and a generous grind of salt and pepper. Simmer for a few more minutes, while pasta finishes cooking and is drained. Stir pasta through the sauce. Very simple - but delicious because they were fantastic fresh mushrooms! A busy monday evening with no cooking time we'll have a meal of pumpkin felafels, greek pitta, tabouli, baba ghanoush and dolmades. the hazelnut and coconut butter (Mia made today with the market hazelnuts) on the 2 sourdoughs Ian chose. a salad with my new pot of french tarragon growing on the window sill. 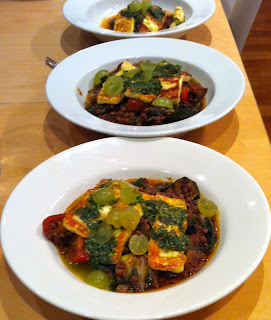 something yummy with the Goats curd. Days of treats still to look forward to. A fabulous Birthday Outing! Playing with the dry ice from the ice cream packaging.